Leonard Bonnema at De Valk tells me he has an ideal refit opportunity for an enthusiast to restore the classic 25.91 motor yacht Sea Harmony. Built in steel by De Vries Lentsch in 1964, she has a beam of 5.9m and comes complete with her original 225hp Gardner engines capable of speeds up to 11 knots. 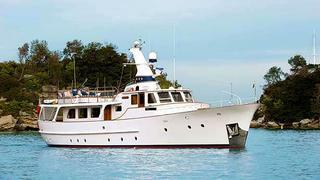 Sea Harmony is asking just €165,000.